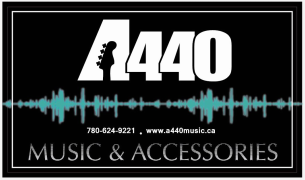 A440 Music has Peace River's best selection of guitars, amplifiers, strings and musical accessories, from top names including Sigma, Cort, Stagg, Vox and more; quality music products backed by some of the best suppliers in the business. We're especially excited by the new Cort Guitars . These instruments are getting terrific comments and press from all over the world. Come down and try one for yourself. You'll be as impressed as we are! !